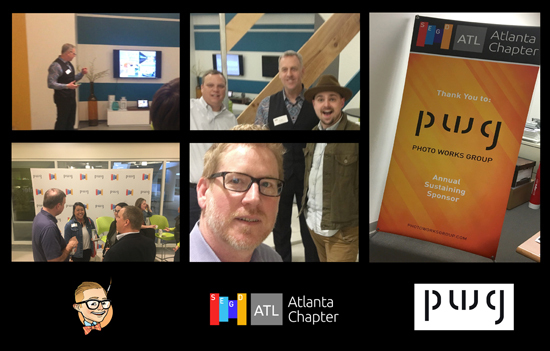 Thanks to all who attended last week's event! What a great night! 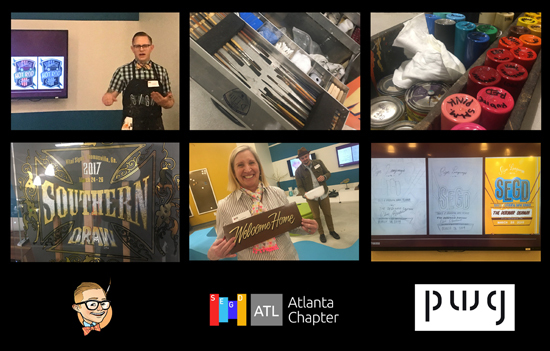 Local Sign Painter Chris Sturdivant The Debonair Sign Man kept us engaged and inspired as he demonstrated his craft and walked us through the life of a sign painter! It was a treat to see so many young and new faces attending! Lots of great new student connections were made! Congrats to our raffle winners, who took home hand painted show cards! And a very special thanks to our new annual sustaining sponsor PWG (PhotoWorksGroup) for a great presentation! We are looking forward to a successful partnership with PWG throughout the year! And thanks SRSSA for sponsoring the incredible space for the event! Take a ride with us as we discover the life of a Sign Painter. 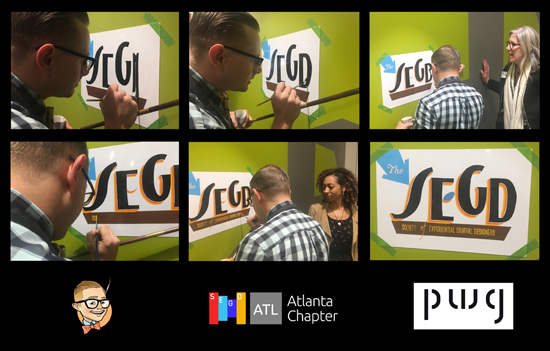 Atlanta's own Chris Sturdivant, "The Debonair Sign Man" will be demonstrating the longstanding artisan craft of hand painting signs! Drawing will be held for a piece of original work by Chris on the night! Brought to you by our sponsors PhotoWorks Group & SRSSA. 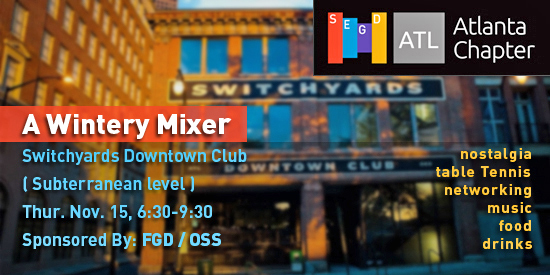 Free to SEGD Members and Students, $5 for non-members. What a great night! 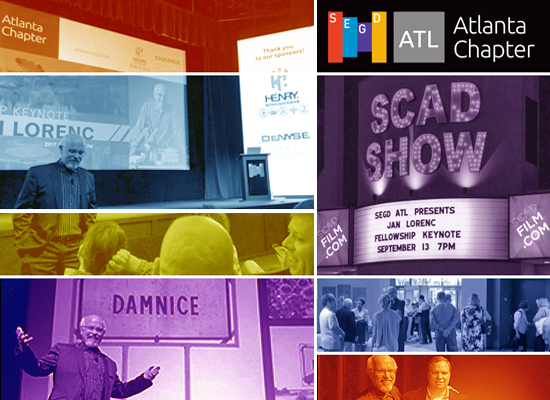 Nearly 140 attendees from SEGD Atlanta, AIGA, IIDA, SCAD, GA Tech and many vendors from Atlanta and beyond came out to celebrate the SEGD Fellowship of Jan Lorenc. Jan treated the crowd to an inspiring keynote covering both his unique path in life and his impressive design career! 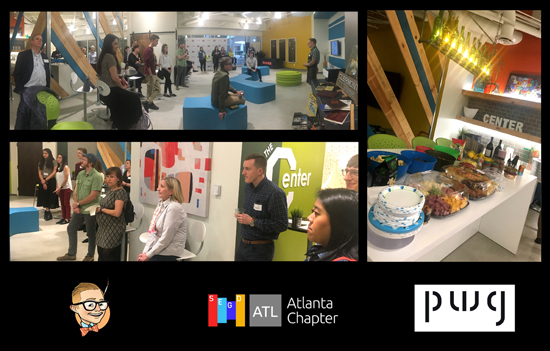 Atlanta Chapter Chair Steve Dubberly gave a brief introduction to SEGD for students and the many cross disciplines of design that were present. 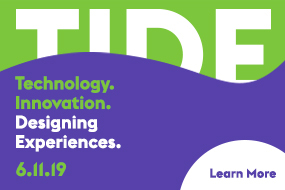 This event presented a great opportunity to Educate, Inform and Inspire SEGD members as well as the larger design community. Special thanks to Rick Pariani (V.P. Design & Development Davidson Development, Inc) for the warm introduction to Jan and of course our generous sponsors Henry Inc. and DeNyse Signs, without whom this event would not have been possible! 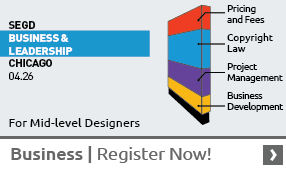 See Jan Lorenc's amazing presentation.